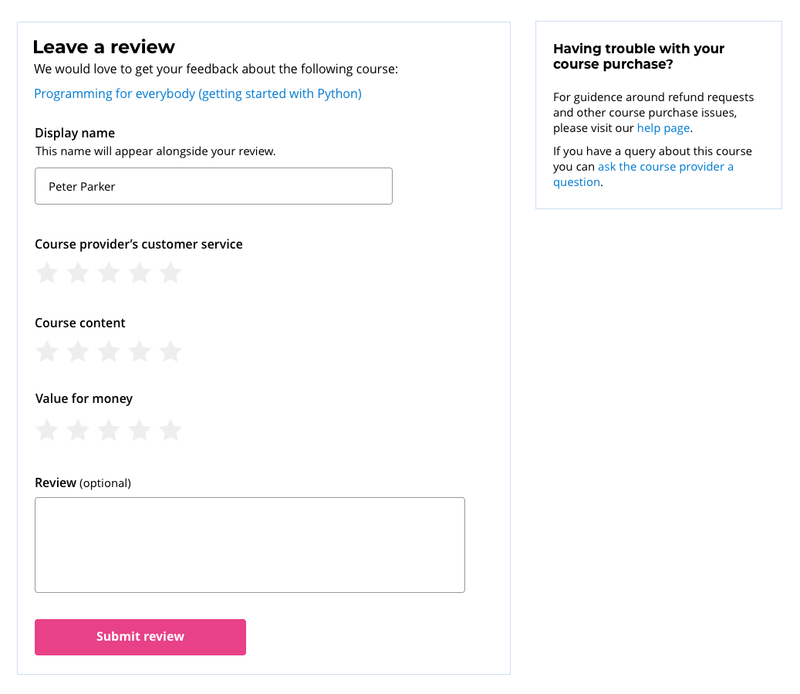 I'm updating a review page where users are asked to leave feedback on their recent course purchase. Students who purchase courses on our site don't instantly get access to their course. Some users may have to wait up to 2 days to get access. Because of this we have users leaving negative reviews because they haven't received their login details. To try and aid users who are about to leave a negative review due the delayed delivery of course credentials, I've added a purchase help section to the page. On desktop I've placed this content in the sidebar, so the focus is still on the review form, but I'm having difficulties positioning this section on mobile. I've come up with two designs, the first is a collapsing panel, the idea features an anchor link which scrolls the users to the bottom of the page where the panel is positioned. Am I approaching this in the right way? Try to address the negative review problem upstream / earlier (at the point of purchase). I'm not sure you have the leeway, but it sounds like the gap starts well before the review stage. I realize I'm not answering your specific help layout question about the review section; I'm emphasizing anticipating reactions at an earlier stage. 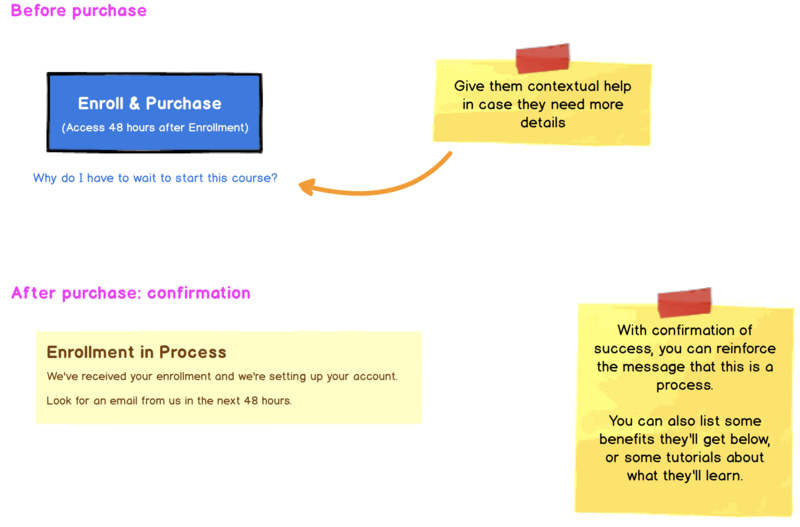 Set clear expectations during the signup process. I don't know your use case well enough, nor have I seen your purchase flow. That said, can you get some resources to refine the final purchase experience with clear writing, and perhaps follow up with an email confirming (and thanking them) for their enrollment? There's definitely value to what you're working on for the leaving a review process, but don't just patch the gap on the back end of the process. The layout of the form on mobile is not the core problem; user expectation is. Not the answer you're looking for? Browse other questions tagged gui-design interaction-design user-expectation or ask your own question. Which is more effective at eliciting customer trust: “Trusted by” section or customer testimonials? On a tablet, is it okay for both modal-style windows and full-screen programs to close with different methods? Home link inside sidebar. Sidebar opens on click. Clicking home should open sidebar or home? Comments Box + Interuser Chat + Chat Support - altogether in the same site. How?